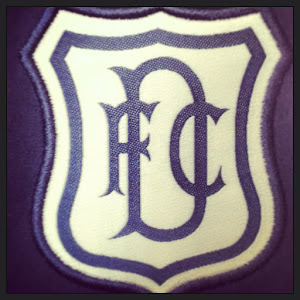 Dundee lost 2-1 at Perth on Saturday, losing two soft goals in the first half. Gavin Swankie scored a good goal in between. We changed things in the second half and pushed the Saints back and Derek Lyle should have scored, after a great flowing move. Jay Shields played the second half and looked very much the part. 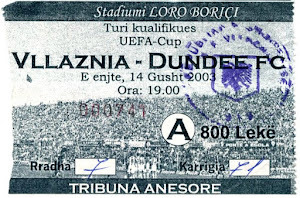 Czech trialist Ondrej Novotny scored on his debut for Dundee in a bounce game against city rivals Dundee United, we won the game 3-2 and Alex rae had 7 trialists in his squad. Gary McKenzie scored as well, the young defender is on his comeback after being injured for the last two and a half months. Former Dundee midfielder Darren Magee has been found dead at his parents’ home in Glasgow. My thoughs are with his family. Dundee's Tennent's Scottish Cup cup tie v Queen of the South will be played on Saturday 6 January 2007. Dundee United will play on the Sunday. Great I can have a beer now. Brian McGinty will return to St.Mirren after his latest injury, the on loan striker has not been able to play enough games to really impress.